We’ve all had those days where the 3pm slump hits us hard. The below tips and tricks help me on daily basis and hopefully they will have a positive effect on your day and help you to stay alert for longer! Concentration & productivity are strongly linked to your working environment. A desk & comfy chair that are of the correct height so that you can work comfortably are essential. 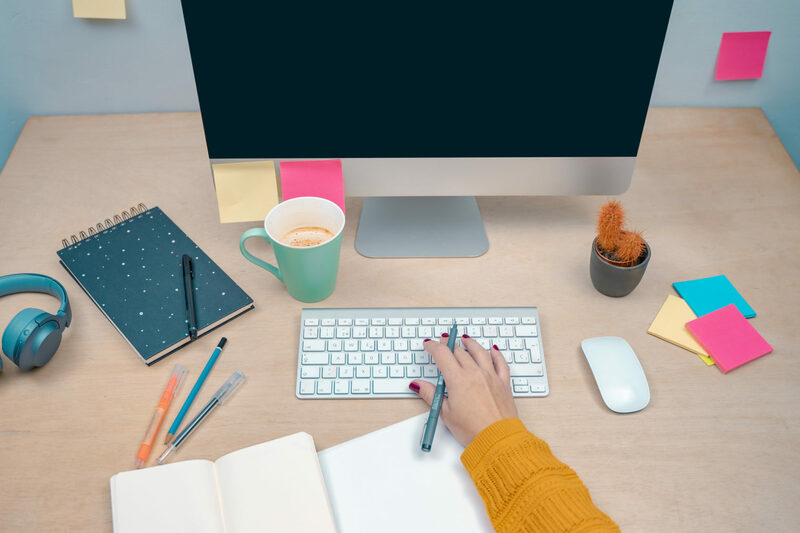 Visually seeing clutter can be emotionally draining so a clean and organised desk will help to keep your mind at ease and help you to stay focused. Plants have also been found to increase the average productivity of a worker by 15% so it is a great idea to include these in your work space! A wholesome breakfast sets you up for the day. Our ability to focus & stay alert are fuelled by this meal and skipping it will make it more difficult for you to concentrate. Always aim for Healthy options, for example; oats, whole grains, fruit & vegetables. Get into the habit of making a list. From this list you can then prioritise which tasks are going to be more time-consuming/ difficult than others. Arrange them accordingly to the time of day where you feel the most energised and focused. Always work on something for a specific amount of time and not until it is finished. Setting a time and day for the items on your list will ensure it is carried out and not carried onto the next list! Once you have planned out your day, schedule a reward! Treat yourself to a coffee or lunch. Rewards will act as key motivators and will help improve your concentration. It has been scientifically proven that taking regular breaks will help increase your total productivity. Every hour try to get some fresh air, grab a coffee or even doodle! As long as you can give your mind a break to rest & refuel you will find that there will be a noticeable increase to your work output. If you are working in a busy office & you really need to stay focused put on your earphones. This way your colleagues will know not to disturb you & you can really focus on the work you have at hand. You don’t even have to play music! Taking time for yourself, relaxing and learning to live in the present is a very important life skill that has been proven to increase focus, overall well being and reduce stress. If you find that your mind constantly wanders or that you are under quite a lot of stress, there are some great mindfulness apps out there like Headspace and Smiling Mind where meditation sessions will take up as little as 10 minutes of your time. Switch off your phone, turn off your personal emails and use a separate web browser for work. You can check your voice mail and reply to personal emails over lunch time. Having a separate web browser specifically for business will keep your free from any temptations that could lurk up on your personal browser. Exercise is not only vital for maintaining a healthy physical physique but also is essential for maintaining a healthy mental state. Exercise releases endorphins into our bodies that are essential for combating the negative effects of stress and enables us to concentrate and focus on the tasks at hand. It is important to keep yourself organised and punctual so that you are ready for the day. Organising yourself as well as your working day will help to decrease your stress levels & will keep your mind free from distraction so that you can give your full attention to your work.